The reality of costs and increasing demands on IT departments to deliver better, faster, cheaper are helping to drive cloud adoption in Small, Medium and Large organizations. On Technology is ready to assist you and your team in adopting and implementing a cloud strategy that maximizes ROI for your organization. Budget cuts, are straining IT staffs. New technologies, Infrastructure Automation, Workflows, etc. are necessary for IT Departments to realize performance and operational efficiencies to meet increasing demands of business. We are ready to assist you in reducing compute requirements and capacity stresses by optimizing your enterprise for increased performance and decreased costs. On Technology will help you gain timely, relevant operational insights into your organization, as well as automating complex and repetitive tasks. With nearly 20 years experience working in and around Government and Department of Defense agencies, On Technology understands the unique security requirements and challenges of securing these environments and will leverage that experience to ensure your information and environment is protected and secure. Maximize your IT investments by leveraging On Technology's Managed Services offerings. We deliver the tools and capabilities you need for efficient enterprise services delivery and management wherever your services run (On-premise or in the Cloud). We have extensive experience in SharePoint, Office 365, Lync (Skype for Business), Exchange and other 3rd party collaboration tools and solutions. MEDCOP Proof of Concept is a Microsoft Azure Government cloud hosted real-time tactical vital signs monitoring and tele-medicine/tele-mentoring capability. It enables SOF Medics to transmit medical data, waveforms, still images & video, TCCC card and 12-Lead ECG recordings from any remote land, sea or air location to a secure cloud, reachable by medical doctors globally. We value you as an On Technology customer, and believe your Information Technology and Business requirements warrant the best that we have to offer. Our employees are the best in the industry and dedicate themselves to exceeding customer expectations. Reputation is everything and our goal is to build meaningful business relationships that are long-lasting and productive. We look forward to establishing and maintaining trust and respect with all of our customers. Our commitment to you, our valued customer, is to listen to your business needs and to assist you in delivering the very best solution(s) for your organization. Whether it is optimizing your datacenter, implementing new technologies, developing new software solutions or to provide enterprise class management and monitoring services for business of all sizes, On Technology is ready. On Technology was instrumental in providing engineering support activities to the Chief Information Officer, KM Branch. 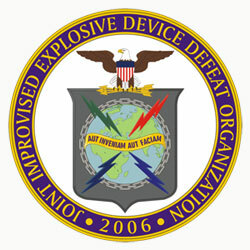 Deliverables included Planning, Envisioning, Delivery and Operation of the Joint IED Defeat Organization's (JIEDDO) multi-network Classified and Unclassified SharePoint Portal Server 2010/2013 Farm environments. 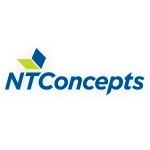 On Technology Architected a Hybrid Cloud solution for Top D.C. Metro IT Services Company (Next Tier Concepts) based on Office 365 and Azure Cloud Services. The IT Optimization team deployed a new Active Directory Windows 2012 R2 Forest and VMware 6.0 Virtual Infrastructure in support of client's IT optimization and cloud initiatives. Moving forward in 2019! On Technology is now a SolarWinds Managed Service Provider (MSP) partner! We look forward to the opportunity to show you how we can securely monitor and manage your on-premise and .. Copyright © 2019 On Technology, LLC.